Many of the products that fall under this heading are standard products which are known to any hobbyist. You can do more with these products than youe than you would think at first glance. Double-sided adhesive foil or tape, foam tape, foamdots and glue dots are mainly used for sticking paper, making shaking cards or build up 3D images. However, you can also sprinkle on all these materials sand or glitter, to make nice decorations and to get special effects. Decorate for example a glass object using extra sticky tape and sand or glitter, foam cubes on picture frames and glue drops with glitter as decoration of 3D images and/or cards. Tip: use for removal of the protective layer of Foam/Tape and Extra Sticky tape a craft knife. Stick the sharp blade cant in the protective layer and you can easily lift it up. Certainly useful for anyone who has no long nails! These transparent sticking sheets and sticky tape rolls are easy to tear and very useful with paper, foam, fabric and several other materials. Die cut it and create your own adhesive shapes for Home Decoration and Papercrafting. You can also use this tape and sheets for working with Sandy Art® or Finest Glitter. Step 1. Stick the tape or a piece of the sticky on a piece of paper or card. * Remove as first the paper layer with the metrics indication from the Sticky sheets. Step 2. Place the mold on the plate with the cutting side facing up. Place the paper on top of it with the tape facing up if you wish to cut and glue the form. For sprinkling it with glitter or sand place the paper with the tape facing the cutting edge of the mold. Step 3. Turn the entire plate through the machine (manual or electric). Step 4. 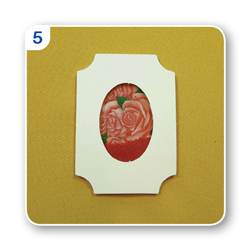 Take the cut out shape and remove the protective layer, stick it onto the desired surface or sprinkle it with sands or glitters.